With a desire to serve an aging population in Northwest Ohio, Vancrest Health Care and DMK Development enlisted the services of Andrews Architects to design and plan Vancrest’s first greenfield facility in the region. 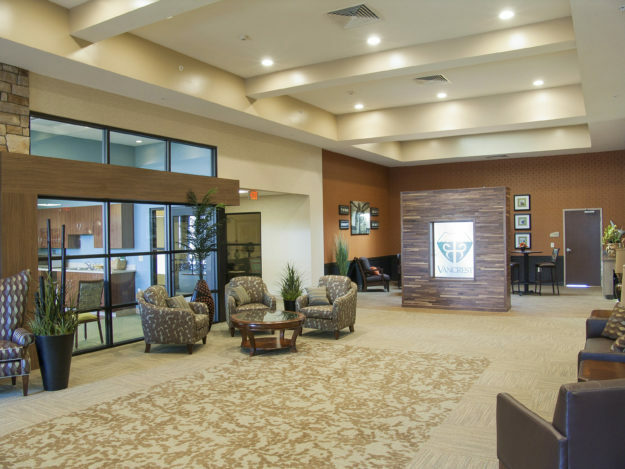 Offering several products at the center, including assisted living and both long and short-term skilled care, there was an emphasis in design on maintaining separate residential communities within the building. 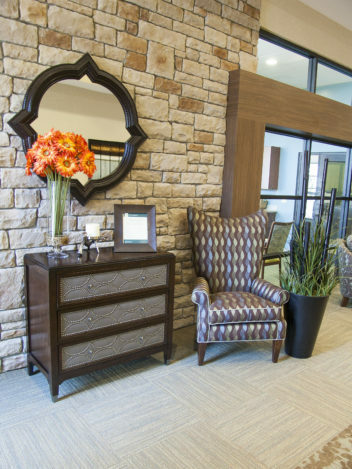 Throughout the facility, each space is carefully designed with an attention to detail for residents’ comfort and care. The overall design includes multiple entries, courtyards, living spaces, and dining areas while also utilizing effective space planning to streamline processes and create staffing and administrative efficiencies. The engaging rehabilitation and outpatient physical therapy space draws the eye to the main entry plaza where the building is focused around a grand central space. A bistro café lounge draws visitors in, while offering residents a gathering place. Administration and resident services are also centrally located in this space. An engaged owner and committed design team worked together seamlessly to create a successful project for all involved and offer something new, and much-needed, to the region.